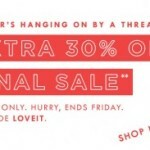 J.Crew has an extra 40% off coupon code for all their final sale items right now. 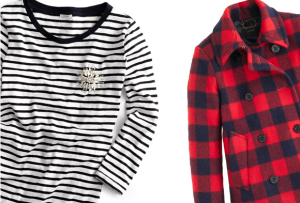 We remember when 20% off was a steal at J.Crew, and now the 30% off promo code is pretty standard. The 40% off comes about once a month now, so if you’ve had your eye on anything, go grab it! Use promo code: STYLETIME at checkout (yes, it used to always be the EXTRA30 or MUSTHAVE codes) through Monday, November 18, 2013. Happy shopping! 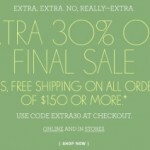 Plus free shipping on all orders November 13 only.